Living in San Diego, Mexican food has a special place in my heart and Cinco de Mayo here is so big it might as well be the 4th of July! Celebrations are all over the city and the food is abundant and divine. Anyone who knows anything about Mexican cuisine knows the main vessel to hold all the goodness is the tortilla. 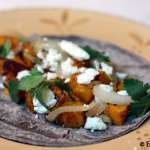 Depending on what you are making, you might want corn or flour tortillas. Corn tortillas are delicious but my favorites are the flour versions. 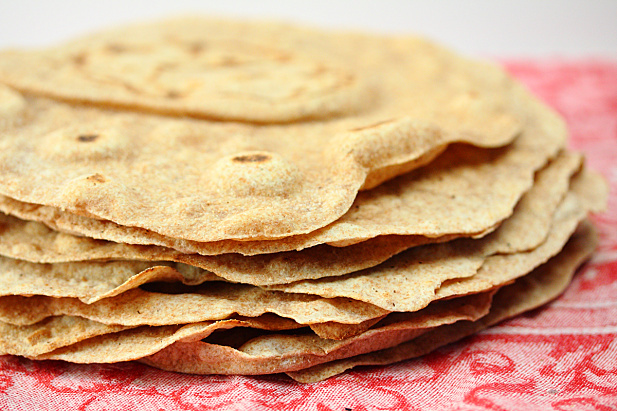 Now, you could go out and purchase premade, precooked tortillas but once you see how simple and quick they are to make yourself, you won’t even want to. 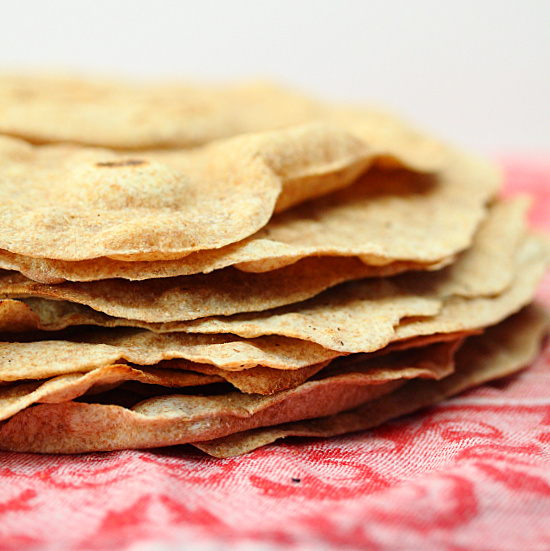 Because I strive to make things just a little bit healthier, I made these tortillas with whole wheat & olive oil so they have more fiber and nutrients than traditional flour tortillas. They are super hearty and will hold all the goodies you stuff them with. 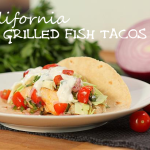 With Cinco de Mayo just around the corner, I wanted to host a Cinco de Mayo linkup party! 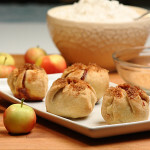 If you have posted a fabulous recipe perfect for this holiday, please add your link the widget below. 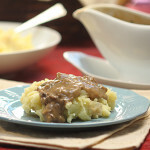 I will be adding all these recipes to my Pinterest Board HERE to get the word out! Mix together flour, baking powder and salt in a stand mixer with the dough hook attached. * Add the oil and water with mixer at medium speed. Mix until mixture comes together in a ball, stopping periodically to scrape down the sides of the bowl as needed. Decrease mixing speed to low and continue to mix for 2 more minutes. Turn dough out onto lightly floured surface and divide into 12 equal portions. Roll each into a ball and cover all with a clean towel. Let sit for 15 minutes. Heat a cast iron skillet over medium-high heat. With a floured rolling pin on a lightly floured surface, roll each dough ball into a circle 6-8 inches in diameter. Each tortilla will be very thin. Lightly coat the pan with an oil mister or cooking spray and cook each tortilla for about 1 minute each side or until it bubbles up and has light brown spots. Do not overcook or they will become hard. 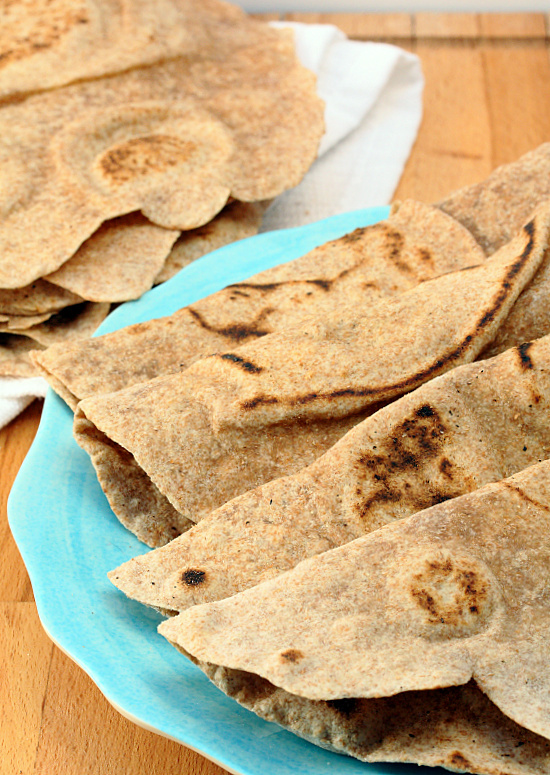 I’ve been making corn and flour tortillas since before I started kindergarten and I’ve never tried making whole wheat. This is going on the “To Make” list. Thanks for sharing and for the link up party! 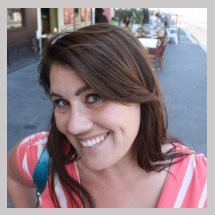 Thanks for adding your links, Ani! The whole wheat is really hearty so it stands up to big ingredients and flavors. Super fun link up – thanks! 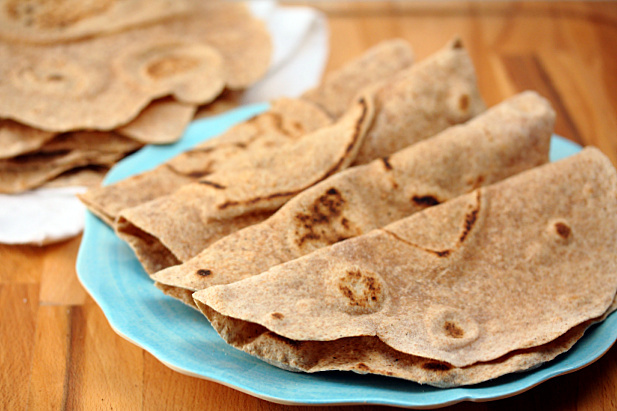 I don’t know that I’ve ever had whole wheat tortillas, but those look incredible. Thanks Kimmie! I love linkup parties and thought it was high time I started doing my own. 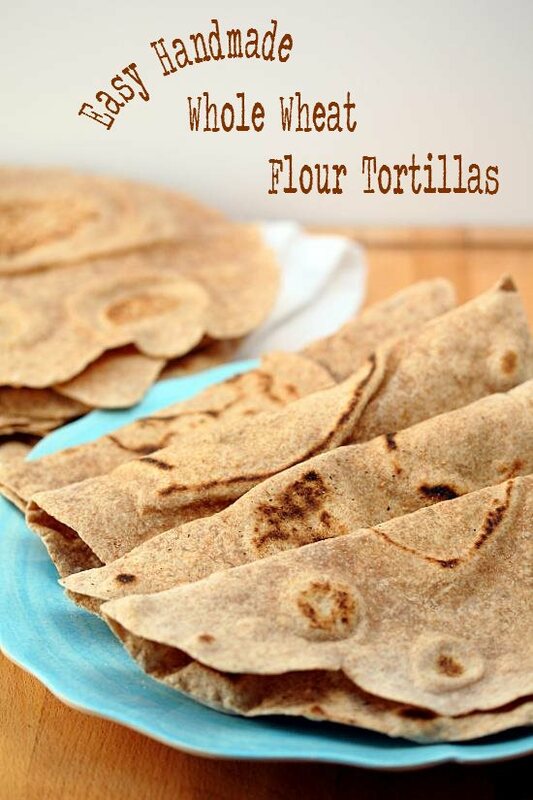 Home » Easy Handmade Whole Wheat Tortillas & a Cinco de Mayo Linkup Party!